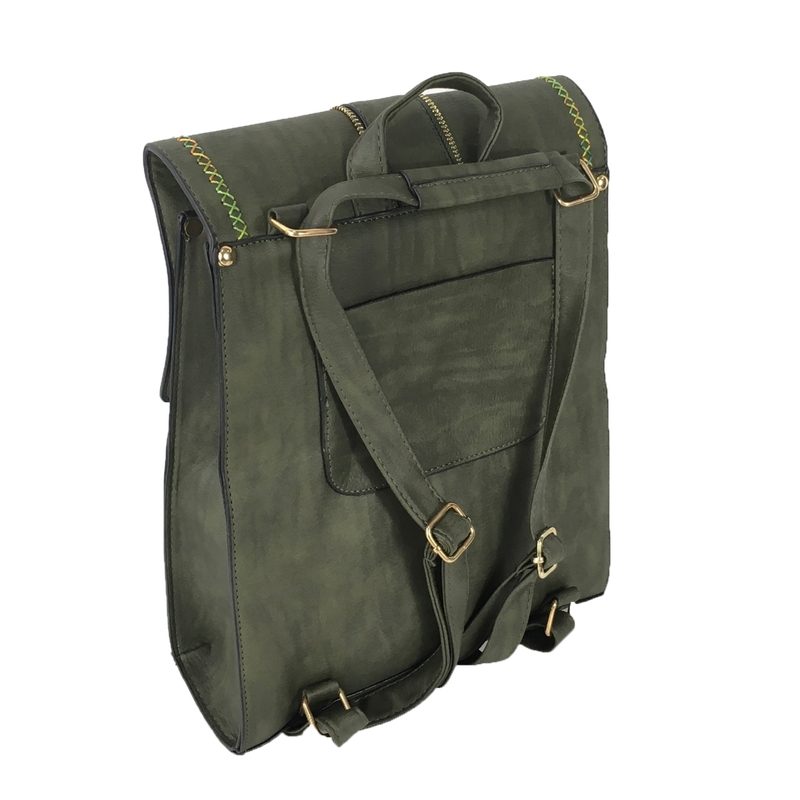 The Charlie Convertible Backpack/Sling Bag has a versatile style that will easily match your on-the-go life. Convertible backpack crafted in sturdy distressed vegan leather. Features exposed zipper trim & ring detail. Rainbow stitching on flap. 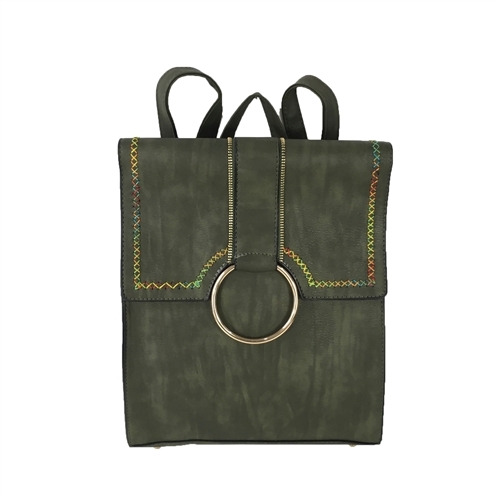 Adjustable straps can be carried as backpack style or sling bag. Back slip pocket. Metal feet. Front snap & top zip closure. 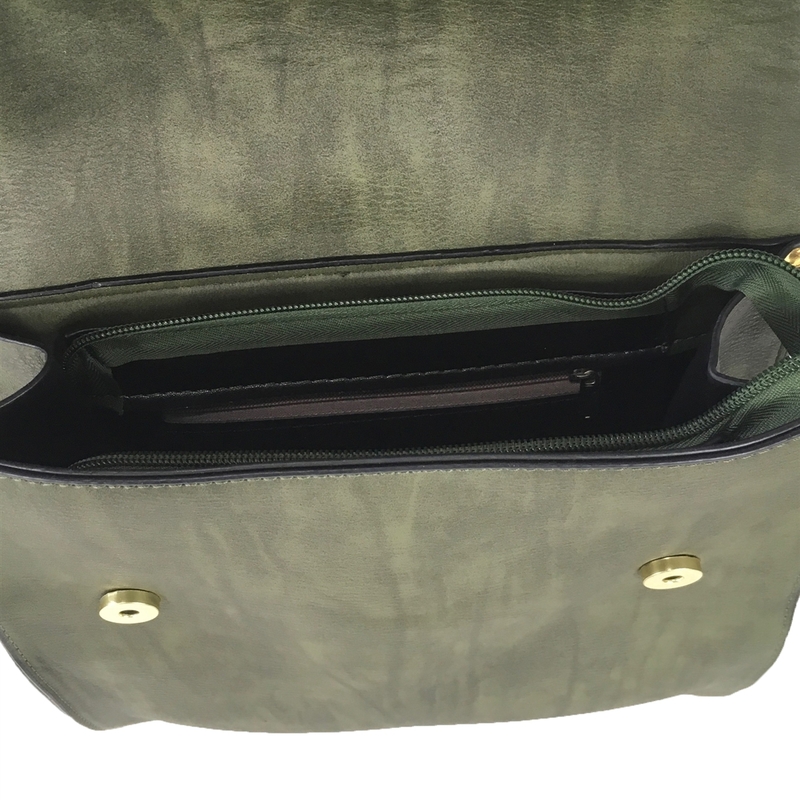 Interior zip pouch.